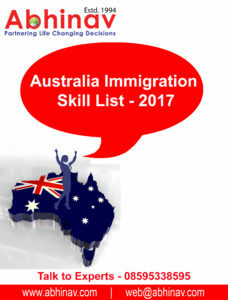 Have You Checked Latest Australia Immigration Skill List? As the economy of Australia grows and economic needs changes, the Australian government introduces a skill list that cannot be filled by the Australian citizens. Hence, positions need to be filled by the foreign trained skilled workers. Trained workers from across the globe wait for the Australia immigration skill list as they are looking for an opportunity to use their professional skills and immigrate to the hotspot. Every year, the Department of Immigration and Border Protection (DIBP), along with Australian Government, reviews the skill list, and as per the country’s specific economic needs, either add new occupations or remove from the list. The 2016 -17 skills saw addition of some new skills, such as Audiologists, Prosthetist, and Orthotists. 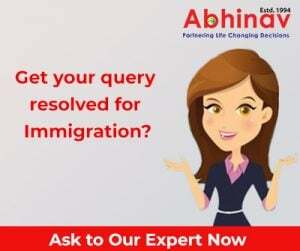 If you wish to apply for the country’s visa through the General Skilled Migration Scheme, and are not sponsored/nominated by a state or territory, then you can nominate an occupation from the Skilled Occupation List (SOL). For complete SOL, you can visit the website of the DIBP. Apply for your Australia PR here.